There are a lot of issues that may arise when someone is detained in an immigration detention centre. There are some particular issues which need to be looked at closely to ensure whether detention is suitable for the individual concerned. Mental health problems that an individual could be facing is a very important factor in assessing whether an individual is suitable for detention. 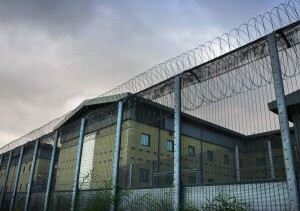 Vulnerability issues are sometimes overlooked in detention cases. Sometimes, these issues are not raised by the individual themselves or even their legal representatives. This could be for several reasons, the most common being that the individual concerned has not actually mentioned any of the vulnerability issues to their legal representatives. It is therefore vital, in most cases, for the legal representatives to ascertain whether there are any vulnerability issues which deem detention to be unsuitable. It is recommended that a thorough examination is conducted with the individual concerned. There is a duty on the authorities and the individual's legal representatives, to ensure relevant enquiries are made into health problems of the detainee. As per the Adults at Risk policy, there is a duty, on the authorities, for a Rule 34 examination to be undertaken when anyone is detained. This examination should be conducted within the first 24 hours. (ZA  EWHC 183 (Admin)). A Rule 35 (3) report should also be made by a medical practitioner if there is cause to believe that the detainee may have been tortured in the past. You as the detainee or your legal representative, should make a request for a Rule 35 report to be conducted if this is overlooked, whilst detention. Detention will, in most cases, need to be reviewed where there is a claim that the individual is 'an adult at risk'. those considering or reviewing detention are aware of medical or other professional evidence, or observational evidence, which indicates that an individual is suffering from a condition, or has experienced a traumatic event (such as trafficking, torture or sexual violence), that would be likely to render them particularly vulnerable to harm if they are placed in detention or remain in detention - whether or not the individual has highlighted this themselves. if an individual has been a victim of sexual or gender-based violence. When it is clear that an individual is suffering from a mental health condition, their ability to cope within the detention environment should be factored into consideration. After an individual has been identified as being at risk, the next stage is to assess the level of evidence available. Level 1 - a self-declaration or a declaration made on the individual's behalf by their legal representative. This level of evidence will be afforded limited weight, even if the issues are have not been proven as of yet. Level 2 - professional evidence - an example of this is evidence from a social worker, medical practitioner or a non-government organisation, which indicates that the individual is an adult at risk. This evidence will be afforded greater weight. According to the Home Office guidance provides that this evidence should normally be accepted and then must consider how this is impacted by detention. Level 3 - professional evidence stating that the individual is at risk and that a period of detention would be likely to cause harm or increase the severity of the symptoms or condition. This evidence is normally accepted, and detention should be reviewed. If you are representing someone who is detained, it is vital to address any mental health issues mentioned by the client. It is essential that they are provided with the right help and treatment to ensure that their health is not deteriorating. If detention is a factor in causing health to deteriorate, the authorities should be made aware of this at the earliest. Henna Zabir is an expe­ri­enced Senior Immi­gra­tion Advo­cate. She reg­u­larly advises clients on com­plex immi­gra­tion issues. ‹ Moving homes? Make sure you update the Home Office!